Nature knows no borders. At the Arava Institute for Environmental Studies, this is more than just a slogan. It’s the mission that brings Israeli, Palestinian, Jordanian and international students together to tackle the environmental issues of the Middle East. The Arava Institute, which celebrates its 20th anniversary this year, was founded to build bridges between peoples in the Middle East based on their common concerns for the environment. Environmental issues such as water, nature conservation, air pollution and waste water treatment are all cross-border environmental issues that, in the end, can only be addressed through cross-border cooperation. Based on Kibbutz Ketura in Israel’s Arava desert, the institute offers academic programs, internships, research and international initiatives. Courses are taught in English and students receive credit through Ben-Gurion University of the Negev. Environmental studies are taught from an interdisciplinary point of view, with courses in natural sciences (such as earth sciences, ecology, renewable energy and sustainable agriculture) and social sciences (including environmental law, environmental policy, religion and the environment, ethics and environmental economics). “All the tools that students need to become environmental leaders and professionals when they go back to their home universities,” says David, a member of Ketura who made aliyah from the United States in 1978. The institute has over 900 alumni, two-thirds of whom live in the Middle East. 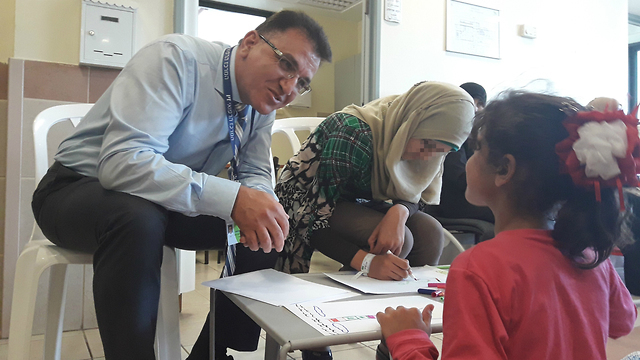 Over 750 of them stay connected through the Alumni Peace and Environmental Network, which holds an annual conference that rotates among locations in Israel, Palestine and Jordan and gives them the opportunity to create new initiatives and new programs. About 80% of the institute’s alumni continue to be involved in environmental initiatives or social justice initiatives after they return to their home communities. Notable alumni include the first Jordanian student and the first Palestinian student to earn doctoral degrees from Ben-Gurion University; along with environmental leaders in local government in Jordan, Israel and Palestine. “We are starting to see our alumni move their way up the ladder of policy,” says David. “When we founded the institute, we thought that we could bring a bunch of Jews and Arabs together, throw them in a room and teach them about the environment, because maybe that’s something that everybody can agree on. But we found out very quickly that students could live together for a semester or a year and just keep smiling at each other, not saying what they really think. Or at times of tension, it would come out in not productive ways. So we realized that we needed to initiate the conversation. And we created one of the more unique aspects of the program, which is the Peace Building Leadership Seminar,” David says. “That’s where we talk about what they don’t want to talk about. That’s where we talk about the elephant in the room. We talk about history, politics, religion, war, occupation, terrorism – all issues that bring up emotions,” David says. When students say that they came to the institute to study the environment, not to discuss these issues, “we explain that you really can’t learn how to live in peace with nature until you’ve learned how to live in peace with your neighbor.” By the end of their studies, students say that the Peace Building Leadership Seminar is the most important thing that they did at the institute. In addition to the academic programs, the institute partners with universities around the world on international environmental initiatives. David was recently in Phoenix for an initial meeting with researchers at Arizona State University’s LightWorks program about a potential research partnership in renewable energy. 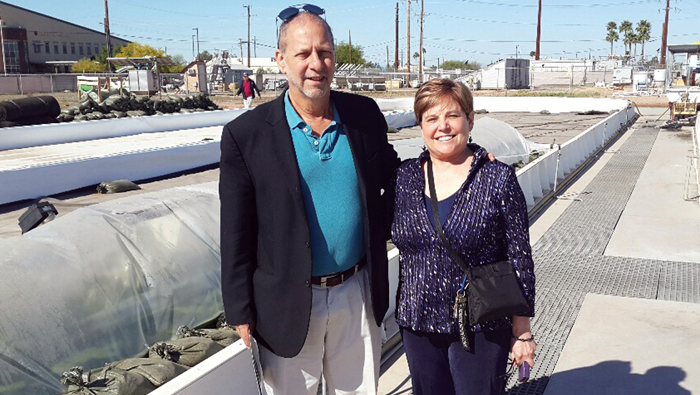 They discussed the prospects of working together to test algae production for biofuel at the Arava Institute. While here, David also met with Jewish National Fund supporters to raise awareness about the institute, which is a partner project of JNF. “We’re very proud that they’ve chosen to partner with the Arava Institute. It’s a sign of confidence that they’ve decided we’re worthy of being a partner,” he says. For more information about the Arava Institute for Environmental Studies, visit arava.org.